Welcome to the website of the Youth Peace Initiative. 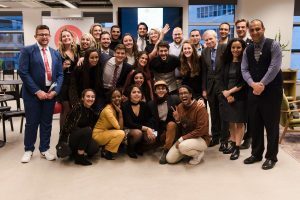 This website provides information about the Youth Peace Initiative, a Dutch initiative set up by young professionals in order to foster the participation of future generations in peace negotiations throughout the world. In addition, we aim to inform young people about peace issues by organising YPI-Lectures and workshops. The Youth Peace Initiative’s Newsletter for the Spring of 2019 is out now! Read all about YPI’s fifth birthday, the Young Leadership Experience and the MEPP Conference 2019. Also, make sure to scroll down to find the vacancy for a board position! If you haven’t already subscribed to our newsletter, you can find it here! The Board of YPI is looking for a new External Activities Officer. 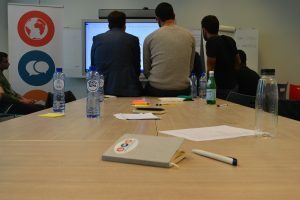 The main tasks of the External Activities Officer consist of organising workshops and conferences in the Netherlands, including the Youth Carnegie Peace Prize 2020. Are you skilled in organising activities and events, are you interested in conflict resolution and peace issues? Then apply by 14 April 2019. Find a detailed description of the vacancy here! 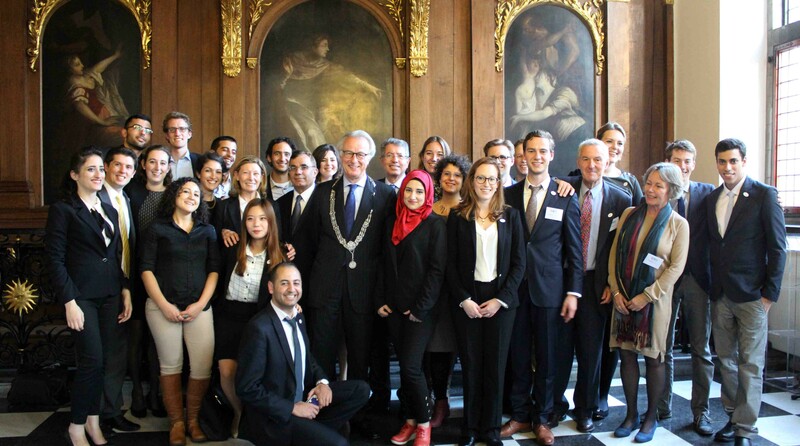 From 2-9 March the fourth YPI conference took place in The Hague. 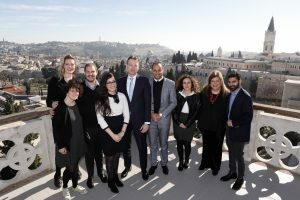 A group of 6 Israelis, 6 Palestinians, 2 coaches from the delegation of 2014 and 2016 from both sides, and an international delegation of 4 have made the conference of 2019 to a great success. The week was challenging, often tough and emotional, but nevertheless fruitful, inspiring and an exceptional continuation of the Young Leadership Experience! Find Our Common Future IV here to learn more about the preparations for the conference, the conference day by day and, of course, about their agreements and action plans. Our latest Newsletter for the Winter of 2019 is out now! 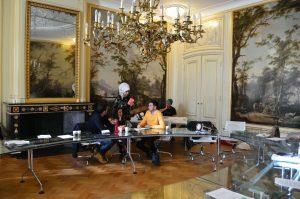 Read all about the first meetings in the region of the Young Leadership Experience and the preparations for the MEPP Conference 2019! 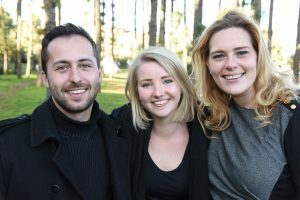 The recruitment for our Young Leaders Experience 2019, including the MEPP Conference 2019, is currently closed. Find out more about the Young Leaders Experience here. Over the course of the summer and fall of 2018, the Youth Peace Initiative has been up to a lot! We had to say goodbye to our Programme Coordinator Rabia, but welcomed our newest board member Steffie already. The board visited the region, we awarded the Youth Carnegie Peace Prize, and we have an open vacancy! You can read all about it here. 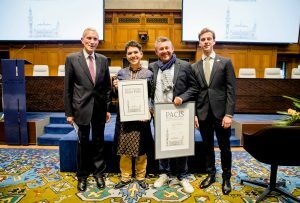 On the 26th of September, the award ceremony of the Youth Carnegie Peace Prize took place, for the very first time, in the Peace Palace in The Hague. Leonardo Parraga received the prize on behalf of his organization BogotArt for their project Letters for Reconciliation. We would like to thank the Carnegie Foundation and United Network of Young Peacebuilders for the great partnership in this amazing project. 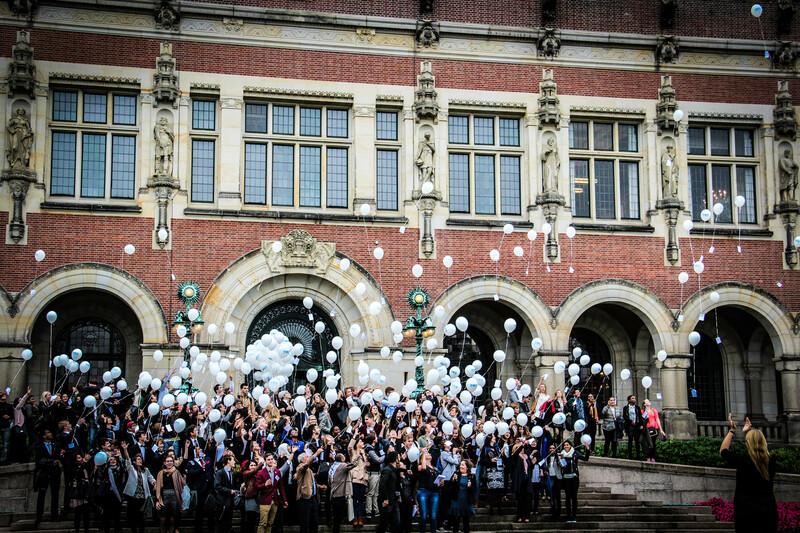 Together with the board of the Carnegie Foundation Peace Palace and the United Network of Young Peacebuilders (UNOY), we have selected the Colombian youth-led organisation BogotArt as the winner of the first Youth Carnegie Peace Prize for their project ‘Letters for Reconciliation’, out of 32 applications from all over the world! Check out the aftermovie of the contest below to get a glimpse of the best practices we received! All applications will be uploaded to our website shortly! Together with the Carnegie Foundation and the United Network Of Young Peacebuilders, YPI organised ‘The Next Generation Peacebuilders Video Contest’ to highlight best practices of young peacebuilders! The winner of the Youth Carnegie Peace Prize will be awarded with the title ‘Youth Ambassador of the Peace Palace’ during the Carnegie Peace Building Conversations Conference in The Hague and receive a conference ticket to the One Young World Summit in The Hague! Newsletter Spring 2018 Out Now! The YPI Newsletter for the Spring of 2018 is out now! Find it here and make sure to subscribe!! 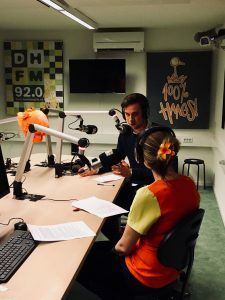 Our Chair spoke on the radio about YPI in Dutchbuzz on April 24th! You can listen to the fragment at 8:30 here! Check Out the Aftermovie of our MEPP Conference! 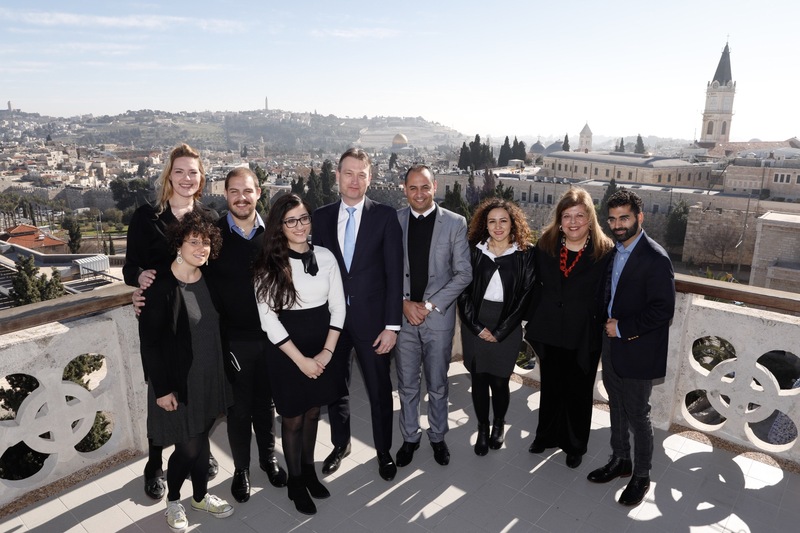 From the 4th of February until the 10th of February our MEPP conference 2018 took place, being our third Israeli/Palestinian initiative! 16 participants from Israel, Palestine, Cyprus, Bosnia, Nothern Ireland and Colombia joined our programme in Amsterdam. The week has been both challenging and intense, yet very succesful! YPI is looking forward to working with the group of 2018 in the future, putting their ideas into action within the region! We would like to thank everyone that has been involved in the conference, that helped us in the preparation of it, but most importantly our participants! Curious for the outcome of the conference? Check out the amazing sketch that was made during the week or find Our Common Future III here! Are you interested in reading a more detailed summary of the MEPP Conference 2018? Make sure to sign up for our Newsletter via this link! Our winter edition will be out the first week of March! 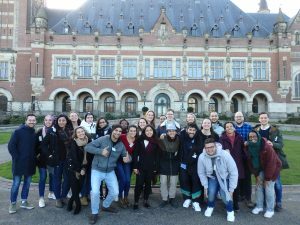 In the course of our MEPP conference 2018, together with SPUI25, YPI organized a lecture on the role of youth in conflict resolution and peace processes. During this evening we explored this topic, guided by academics, leading expert on conflict resolution and experiences from our delegates who live in (post-) conflict countries. Present were Fleur Ravensbergen, Dr. M. Parlevliet, and Clara van der Wiel. YPI Delegates Meet with the Dutch Minister of Foreign Affairs! On the 11th of January, our Israeli and Palestinian delegates met with Dutch minister of Foreign Affairs, Halbe Zijlstra, in Jerusalem! He recognized the importance of youth involvement in peace processes and the work of YPI. Our Call for Applicants for the MEPP Conference 2018 has closed. Make sure to like our Facebook-page and subscribe to our Newsletter to keep updated on our future activities and events! Our Newsletter for the Fall of 2017 is out now! You can find it here! Make sure to subscribe to our newsletter via this link! From 18-22 September, our “Futures of Syria” Conference took place. We thank the International Institute for Social Studies for opening their doors to us. We have been working on scenario building under the supervision of the Clingendael Institute. Through fruitful discussions, our participants managed to establish profound scenarios for the future of Syria at the end of the week, which they presented to the Ministry of Foreign Affairs on Friday. Though often challenging, the conference was a great success! Are you interested in supporting more initiatives to facilitate youth in peace processes? Find our donation page on our website! 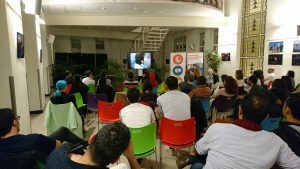 On the 21st of September, in the course of our “Futures of Syria” Conference we organized a public event: a movie screening an discussion of “NO”. We would like to thank everyone for making the evening a great succes! We hope to welcome you again at future events! MAEX The Hague chose us to be intitiative of the month October! MAEX is a Dutch social platform that contributes to social initiatives, making them more visual by facilitating their communities and supporting them in creating their social return. Check out the interview with our chairman Thed on their website! 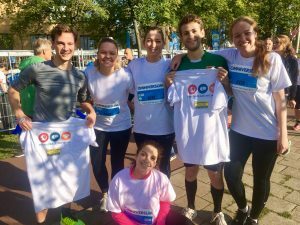 In the course of the Just Peace festival in The Hague, the board of YPI decided to run the 5k for peace on the 24th of September! You can of course still donate! 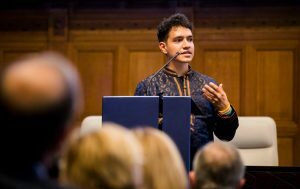 On the 28th of June, the municipality of The Hague launched The Hague Humanity Hub in the international city of peace and justice. A pre-opening event under the name Open Space took place to give a little taste of the powerful things that happen when people with different skills and areas of expertise come and work together. Our friends at “Gast aan Tafel” (Dutch for “guest at the table”) continue to help refugees in The Netherlands and Dutch families to meet each other over dinner. By regularly having these joint dinners, both sides will get to know each other better and better, as these meetings provide the chance to talk about culture and background. This will enhance mutual understanding, respect and maybe even friendship. Curious about the initiative? Visit their new website here! This January, Paris hosted a peace conference regarding the Israeli-Palestinian peace process. 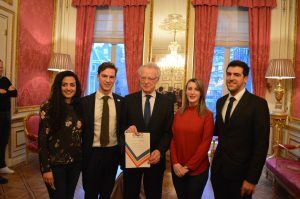 YPI and a small group of delegates went to Paris and were able to talk with the Dutch Minister of Foreign Affairs Bert Koenders. You can read a short impression of the event and their meeting with Dutch Minister of Foreign Affairs here! From Sunday 28th of May till Friday the 3th of June 2016, YPI organised a new conference. 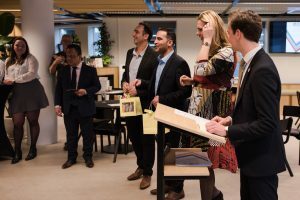 Our expanded – with regard to the 2014 conference – Israeli and Palestinian delegations came to the Netherlands, where they spent an intensive week of dialogue on several sub-topics of the Israeli-Palestinian conflict and how youth could bring positive change. Click here to read more! On the 10th of May, YPI organised a lecture on ‘Education for Peace’. The evening was all about how education can be used as a tool to promote peace and reconciliation. We would like to thank our speakers – Donia Khraishi, Leehoo Pansky, Nedal Zahran and Oded Rose – for making it a wonderful and inspirational evening and The Hague Institute for Global Justice for having us at their wonderful venue. YPI hosted its High School Event yesterday at the International School in The Hague. It was an amazing day in which students learned about the complexity of conflicts. The day started off with an interesting lecture by Sylva van Rosse of the Netherlands Institute for Multiparty Democracy. After the lecture, it was time for the students to get in action. The first workshop was given by André Krouwel and Daan Aalders of the Election Compass (KiesKompas). Within this workshop, students had to take a stand towards different propositions and explain why they chose this position. In the second workshop, Paul Meerts – who worked for and is still involved with the Clingendael Institute – showed the students, on the basis of an interesting case study, that it is extremely difficult to form an opinion about ‘good’ and ‘evil’ since these concepts differ across the world. We would like to thank all the speakers for their valuable lecture/workshop and principal Rick van Vliet for having us at his beautiful school. YPI launched an essay competition in which the participants had to find a creative answer to the question: “What would I do when I was Abbas, Netanyahu, or myself to improve the peace process between the Israeli and Palestinians”. After weeks of evaluation by our prominent jury the winner of YPI’s Essay Competition was decided. The official award ceremony took place at our New Year’s Reception on Wednesday 28 January. The third place went to Kristiaan Koop, who was unfortunately not able to attend the ceremony. He wrote a very creative essay from the perspectives of Mr. Netanyahu, Mr. Mahoud and his own perspective as well. Eva Vas Nave made it to the second place by writing an interesting essay in which she discussed several social and political changes which have to be made. 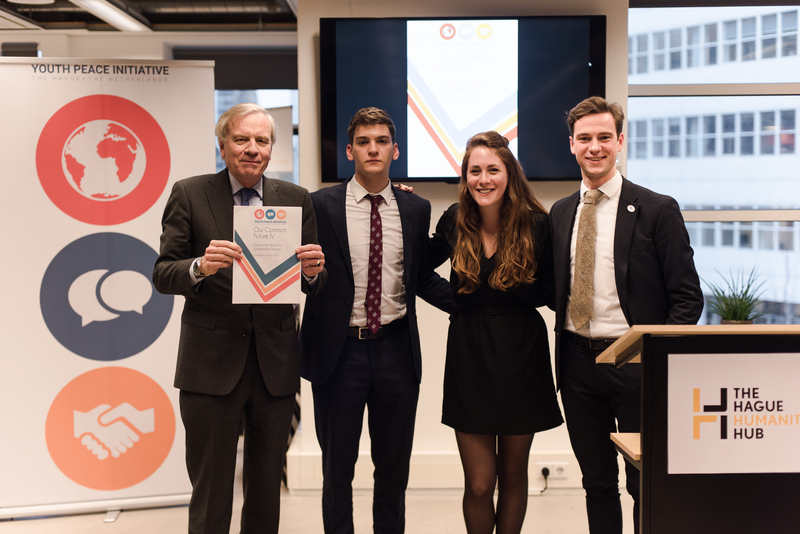 And the winner of YPI’s Essay Competition 2015 is Bas Kleijweg. He wrote a nice and original essay in which he suggested that education might be key for resolving the conflict. He wrote an comprehensive plan in which he guided the reader step by step, explaining why certain steps were important. By writing this essay he won a trip to Jerusalem with the YPI Board! Read here an interview with Bas by Leiden University’s Journal Mare about his winning essay (p.8). YPI could use your help to continue supporting the great work of the world’s youth. You can make a financial contribution by clicking on the button above or going to our donation page. If you want to donate more frequently, YPI invites you to become a Friend of YPI! If you wish to stay informed about YPI, subscribe to our Newsletter! In our newsletter you can find updates on YPI's ongoing work, conferences, and other events. Subscribe here! "We, youth of the world’s regions in conflict, have come to The Hague to put our differences behind us and pursue a better future. We remember the past, but choose not to remain captive to it. Instead, we seek to move past the mistakes of previous generations and to achieve peace together." Do you also feel passionate about promoting peace worldwide? Do you wish to support an active and dynamic organisation working to improve the youth involvement with international peace issues?